I have wildly cared about clothing my whole life. From spending hours of my childhood afternoons putting together outfits to ceaselessly chopping up skirts and dresses to make my own creations, I spent a lot of my childhood thinking about clothing. My identity has largely, and unknowingly, been represented through what I choose to wear. Through this column, I hope to showcase my fellow Lawrentians’ understanding of clothing, dissecting the nuts and bolts of what personal style is, and seeking out stories about how identity informs style and how the reverse also functions. Style is about so much more than just clothes. It is one of the most visual ways we pronounce our own identities. 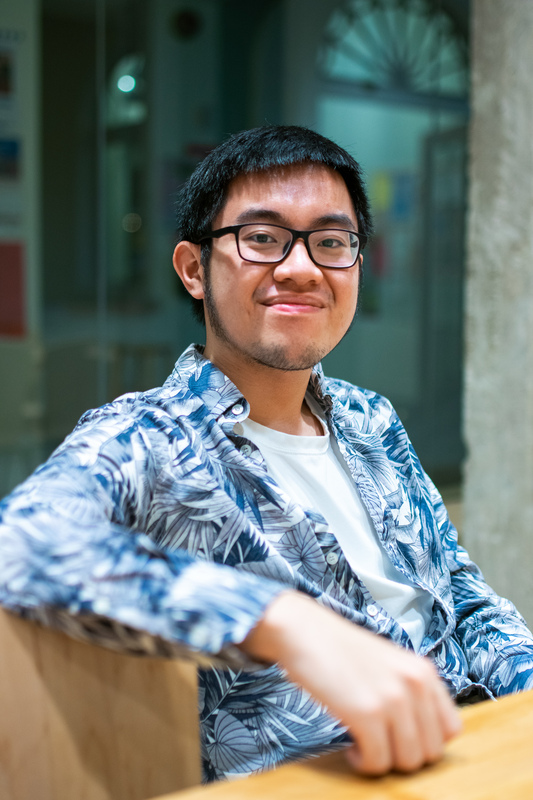 Junior Computer Science and Music Theory major Kiet Nguyen has a love for loafers and quality-tied ties. When he’s not in class Nguyen can be found busily bustling around campus, running stage management for student recitals or singing in the Appletones, and doing it all while quite possibly wearing a pair of suspenders. Nguyen’s found that by exploring a more suspender-rich formal style of dressing, he feels more confident in himself. Nguyen is content in his business casual style — even though he’s not a businessman. He finds that in dressing more put-together, he feels more put-together too. If you’re interested in being a part of this project, please feel more than free to contact me at katherine.a.mueller@lawrence.edu to set up a time for an interview.